A funny, friendly scientist, an astrophysicist in love with the whole universe. Slumdog Millionaire is a great movie. Here is the trailer. I hope it makes you feel like seeing the film. Read the following article and find out why the U.S. president chose to take the oath again. Yesterday, Obama took the oath of office. He had to repeat it after the Chief Justice. See previous post. "I do solemnly swear that I will faithfully execute the office of president of the United States and will to the best of my ability, preserve, protect and defend the Constitution of the United States." But Chief Justice John Roberts' administration of the presidential oath to Barack Obama was far from smooth. Who stumbled? The flub was Roberts'. During the oath, Chief Justice Roberts switched some words up. ... When Roberts erred, one child shouted: "That's not right!" Their momentary disfluency came down to a problem of adverbial placement. 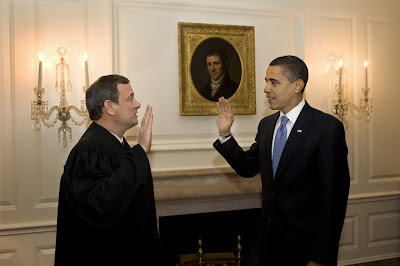 In giving the oath, Roberts misplaced the word "faithfully," at which point Obama paused quizzically. Roberts then corrected himself, but Obama repeated the words as Roberts initially said them. There was one other minor slip-up on Roberts' part: in his first run-through of the embedded clause, he got a preposition wrong, saying "I will execute the office of president 'to' the United States," rather than 'of '. A less noticeable speech error, but nonetheless the type of thing that happens when one speaks from memory without written prompts, as Roberts apparently did. And another man named bello, movin around mysteriously. I was only robbin the register, I hope you understand. Rubin carter and a couple of friends are drivin around. In paterson thats just the way things go. Says, whad you bring him in here for? he aint the guy! And the cops are puttin the screws to him, lookin for somebody to blame. You think youd like to play ball with the law? Think it might-a been that fighter that you saw runnin that night? Dont forget that you are white. Arthur dexter bradley said, Im really not sure. Now you dont wanta have to go back to jail, be a nice fellow. And give him back the time hes done. 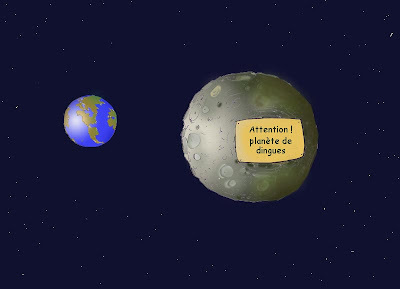 « What I may call : ‘The messages of Brave New World’ : that it is possible to make people contented with their servitude. Dear M. Orwell, the nightmare of 1984 is destined to modulate into the nightmare of Brave New World. The change will be brought about as a resulf of a felt need for an increase in efficiency. Thank you once again for the book. I thank those of you who will help me fill in those blanks. WOW ! A folding bike! Pals / Buddies / Friends! I want to wish you a happy new year. I don't know if i'll be back to school on Monday. Time will tell.